Situated near the southwestern border of Cambodia, at the foot of the Cardamom Mountain range, Botum Sakor National Park provides an astonishing diversity of plant and animal species. However, this extraordinary biodiversity is now severely threatened by a range of anthropogenic disturbances, especially illegal logging. Botum Sakor National Park constitutes one of the protected areas in the Cardamom Mountains Priority Landscape and is officially managed by the Department of Nature Conservation and Protection, which is part of the Ministry of Environment. Over the last few years, a wealth of species of great conservation importance has been recorded within the national park. Before the construction of the highway along the northern boundary of Botum Sakor National Park, it was connected to the forests of the Southern Cardamom mountains. As a consequence, several species are found in both regions. It has been estimated that Botum Sakor National Park could contain over 2000 groups of the rare Pileated Gibbon, which is only found in South West Thailand, Cambodia, west of the Mekong River, and in a small area of Laos. The national park might in fact contain as much as 10% of the global population of Pileated Gibbon. However, the recent construction of the highway particularly threatens to fragment the population, and hence possibly the long term survival of the species in Cambodia. The Dhole, or Asiatic Dog, is a medium-sized Canidae species which occurs in low density over a widely distributed fragmented range throughout Asia. The global decrease in Dholes is greatly affected by habitat loss and degradation. This species is not very well studied, but it has been estimated that the national park could support as many as 27 packs of Dholes, which again stresses the conservation importance of this region, not only at a local but also global level. 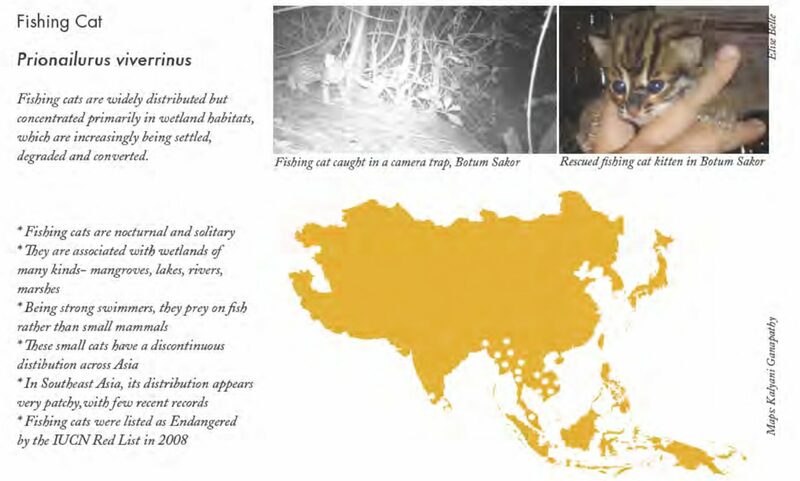 The presence of the Fishing Cat is also of particular significance. Fishing cats have specific habitat requirements and rely on the rare lowland wetland forests present in Botum Sakor National Park. Sadly, in addition to habitat loss, they are also threatened by noose snares which are commonly used, as well as human consumption. The national park is also extremely important for resident and migratory bird populations, with 533 species recorded so far and estimates suggesting that up to 600 species might be present within the park. Of particular interest among the endangered bird species present, is the White Winged Duck which is one of the rarest waterfowl species in Asia. Because of the already important loss of riverine habitats, populations have become increasingly fragmented, and it is estimated that only about 1,000 individuals remain worldwide. This species is also highly threatened within the park due to the removal of their nesting habitats and noose snares. In terms of the herpetofauna, a very high number of species of conservation importance are present within the park. To cite only two, the Elongated Tortoise (Indotestudo elongate) and the Siamese Crocodile (Crocodylus stamensis} are listed as Endangered and Critically Endangered, respectively, on the IUCN Red List. Top: Pileated Gibbon, a rare pecies found only in southwest Thailand, Cambodia west of the Mekong River, and in a small part of Laos. Bottom: Pangolin in Botum Sakor. Finally, the variety of ecosystems present in Botum Sakor also allow for an impressive floral diversity. Of particular interest are two species of tropical rainforest trees belonging to the Dipterocarpaceae family (Anisoptera costata and Hopea pierrei) which are listed as Endangered. An impressive variety of epiphytic orchid species are also found within the park. Unfortunately, despite the abundance of species of high conservation importance and the park being officially protected, these species are now under increasing threats by recent disturbance within the park’s boundaries. Since 2004 an Indonesian company has been logging the irreplaceable ancient forests of Botum Sakor National Park. This has been done through the purchase of land concessions, with the dubious pretext of creating acacia plantations, thereby destroying biodiversity and habitats. This is in turn likely to affect rainfall levels, causing severe draughts, as well as dangerous landslides. The company has been widely criticised for their very destructive practices. In addition, the loss of the forest is also very detrimental to the local populations who rely heavily on the ecosystem services it provides. In addition, there are other threats already affecting the park, or likely to affect it in the near future, such as water pollution, large tourist developments planned on the west coast and offshore oil rigs. The protection of Botum Sakor National Park therefore urgently requires the commitment, not only of all local stakeholder groups, but also of decision makers. To this end, it is crucial to raise awareness, especially of the political class, of the long term benefits of non-timber forest products, such as ecotourism, which the protected area could easily provide, given the wealth of biodiversity present. Part of this article was originally published as: Frontier Cambodia (2010) Royan A, Lyon M., Irwin R., Ward, E., Belle, E.M.S. & Fanning, E. Fauna and flora diversity studies in Botum Sakor National Park, Cambodia: April 2005 – September 2009. 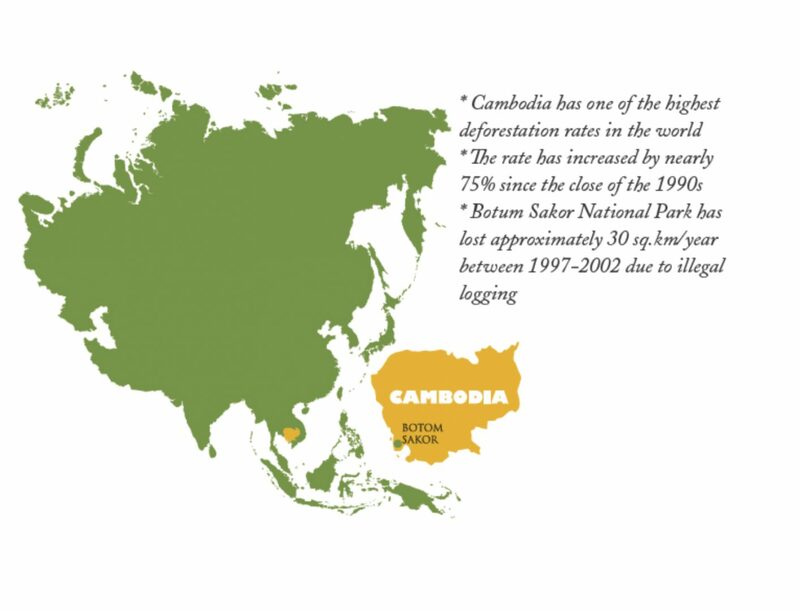 Frontier Cambodia Environmental Research Report 4. The Society for Environmental Exploration UK and DNCP. 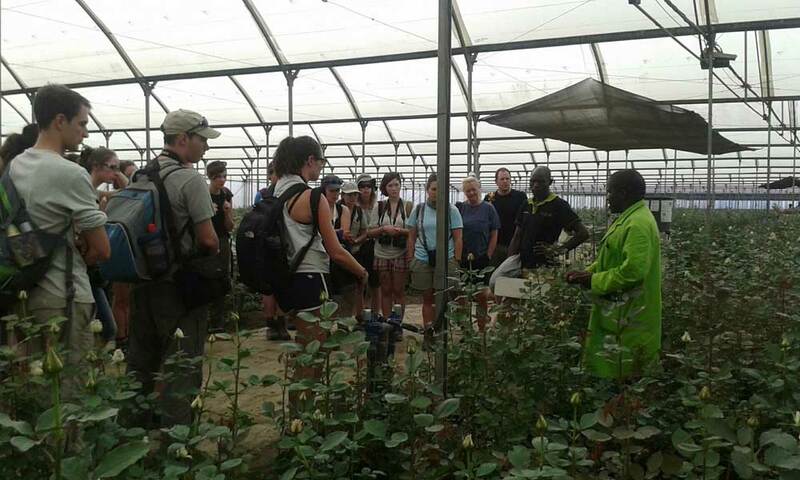 A two-week-long educational trip to Kenya provides insights into the challenges and opportunities of ecotourism. Those involved in conservation know that it is an interdisciplinary field combining sociology, politics, economics, culture, biology and ecology. It is not an easy thing to share the complexities of conservation dynamics with students who, when they make their first forays into the field, tend to see the issues in very black and white terms. Residential field courses, however, offer unique opportunities for budding conservationists to see and experience the issues first hand—to be impressed and moved by the majesty of wildlife, but also to view the inequalities and injustices that drive people to engage in poaching, deforestation and other activities that threaten not just certain species, but entire ecosystems. Having recently returned from such a field course, I am struck by how these sorts of trips allow students to fully appreciate how difficult it is to measure natural systems, and how “truth” is often concealed by propaganda, opinion, misinformation, disinformation and the occasional total lack of information. Our destination was Kenya, which is home not only to a famous diversity of wildlife, but also a number of other riches—geothermal energy, water, oil and food. Our trip spends 14 days in a small polygon of Kenya with vertices marked by Nairobi, Lake Naivasha, Lake Nakuru, Mount Kenya, and the western and eastern ends of the Maasai Mara. Here, it is particularly easy to see how Kenya’s prosperity waxes and wanes with changes in climate, national politics, global politics and the interests of global superpowers, multinational companies and international charities. Kenya’s wildlife, and the tourism it attracts, is one of the keystones of the nation’s economy. But Kenya faces social and environmental problems that affect international tourism, and its government seeks economic prosperity and technological development in ways that usually conflict directly with the nation’s natural capital. Furthermore, it is not only Kenya’s wildlife that needs conserving; there is also the country’s vast melting pot of cultures to consider. We began near Nairobi in the Kitengela triangles, barely-triangular tracts of land that traditionally formed dispersal corridors for the great megaherbivore migrations of the Serengeti ecosystem. The pressures of economic development in Nairobi have caused land value to sky-rocket in this region. Without sensible regulation of land sale and subdivisions, the Kitengela plains have changed from a continuous stretch of savanna and scrub into a patchwork of small-holdings, farms, cement factories, and villages, fenced and fragmented to such an extent that wildlife migrations are blocked. Nairobi National Park, a honeypot for safari tourism due to its proximity to Nairobi, is now fully encircled by urban sprawl and poorly regulated, anthropogenic, landscape fragmentation. Is it now any more than a big zoo? We found hope on the fringes of the park, where members of the Olerai Conservancy aim to halt the subdivision of land into fenced, half-acre plots. The native Kenyan managers of the conservancy have worked with their local communities for several years now, fostering trust that their vision of posterity can also yield prosperity through a combination of low-impact agriculture and tourism. Grants from the Kenyan government and the World Bank have helped to support the installation of water pans, which provide precious permanent drinking for livestock and wildlife. We met pastoralist landowners on the very edge of the park, where loss of livestock to lions and hyenas, and loss of crops to large herbivores, is not just a threat but a reality. This sometimes prompts illegal retaliatory killings, which can be discouraged via compensation schemes, assisted installation of fortified livestock enclosures, and new methods for deterring predators. Unfortunately, these schemes—run by government and international charities—are usually transient, dictated by pockets of large-scale funding. We found a new set of environmental problems at Lake Naivasha, a freshwater lake fed by catchments that stretch back to the Aberdare mountain range. The lake has a long and ecologically devastating history of species introductions, the most obvious of which are the vast floating mats of water hyacinth and papyrus. In some years, boats fail to reach the central lake waters through this floating thicket. Introduced crayfish and tilapia fish have radically altered the natural aquatic community, but even these fish stocks have declined in the face of sedimentation from upstream agriculture and the burgeoning floriculture industries on the lake’s shore. Lake Naivasha is now a booming industry for international flower-growers, growing and sending roses to the supermarkets of Europe. The cynical view of this industry is that it exports Kenya’s scarcest commodity, water, to water-rich countries, in the form of flowers. This might sound like taking coals to Newcastle, but the tax breaks provided by the Kenyan government, coupled with the ideal growing conditions and cheapness of human labour in this region, make it highly profitable. We visited two flower farms where drip irrigation is used to minimise water usage; where the use of pesticides and fertilisers is carefully regulated– sometimes using biological instead of chemical controls; where attempts are made to capture rainwater efficiently and recycle water wherever possible; and where there has been investment in riparian waste-water treatment systems to reduce the output of waste chemicals into the lake itself. We discussed the provision of minimum wages and ethical working conditions for staff, the provision of housing and schooling for the families of workers, and the work of the Lake Naivasha Riparian Association whose members hope to reduce the impact of floriculture on wildlife and the lake ecosystem. We also drove to Lake Nakuru National Park, a completely fenced, but still vast, wildlife sanctuary on the edge of Nakuru city.This is a hotspot for rhinoceros conservation, hosting healthy populations of both white and black rhinos alongside a host of other charismatic species. Despite enjoying the wildlife, we wonder whether we are visiting part of Kenya’s vast wildness—a bastion of conservation in the face of rising pressures from rhino poaching—or whether the fence simply creates a large safari park for tourists. After relocating to the western flank of Mount Kenya, we explored several sites in middle Kenya. The first was Solio, a cattle ranch forming a buffer around a wildlife reserve that supports very large densities of black and white rhinos. Solio’s income is derived from a mixture of cattle ranching and high-end tourism, alongside national and international trade in rhinos for restocking programmes. The latter income source is currently threatened by increasing levels of poaching, but perhaps more directly by changes in government policy. Until recently, only the indigenous wildlife of Kenya was the property of the Kenyan people, and was managed by the Kenyan Wildlife Service. The recent Wildlife Act made even the non-indigenous wildlife of Kenya, including white rhinos, also the property of Kenya. This prevents ranches like Solio from earning money from trade in white rhino, and begs several questions: If the Kenyan government insists on ownership of all wildlife, how will private conservation entrepreneurs support conservation on private land? Could private ranches benefit from community engagement, so as to reduce the incidence of poaching? How can rhino horn be devalued internationally to reduce the profits in poaching—or should we consider legalising trade in rhino horn? With this conservation conflict still ringing in our ears, we returned to the issue of water regulation and conservation. Water is more plentiful on the flanks of Mount Kenya, but the catchments extend all the way to the Indian Ocean, and with increasing levels of water extraction, mountainside rivers soon turn into seasonal streams needed by pastoralists and wildlife alike. In Ngushishi, a Water Resource Users Association (WRUA) is supported by the Department of Water to regulate the use of natural water sources by domestic users, flower farms, local farmers and larger farms growing crops for the international supermarket trade. Water users who join the WRUA are given a proportion of the water flow, but the WRUA ensures that a fixed amount of water is left to flow to the lower parts of the catchment. Here, regulation is essential because the wealth is at the top of the catchment and, left unchecked, there would be no incentives for upstream users to leave water for 30 current conservation 8.4 Students in the flower farm spotlight Dave Hodgson downstream use. Thanks to good management and an apparent lack of corruption, Ngushishi WRUA succeeds where others have failed; however, questions remain: What happens during drought years? What happens when water prices fluctuate? How does illegal water extraction get policed? We also met an organic farmer who is supported by the WRUA and has created an exemplar of lowimpact, organic farming. On a small piece of land, he grows a diversity of crops for the local, national, and (sometimes) international market. He rears cattle in barns to supply milk for the local market. He composts his domestic and horticultural waste to return nutrients to the soil. He drip-irrigates to minimise water consumption. In fact, he uses every drop of water four times. He has built water pans to store rainwater, ensuring water availability for at least three months of drought conditions. This water is used domestically before entering a large fishpond, where the farmer rears fish for the local market. The water from the pond is used to irrigate crops and is then recycled to feed a composting system. On the fringes of the composting pits and water reservoirs, the farmer rears bees for honey and silk moths for fabric. We were suitably impressed by his organisation and productivity. For the final leg of our journey, we folded ourselves into our matatu vans and endured the long journey to the Mara North Conservancy at the western end of the Maasai Mara. At dusk, we entered a patch of scrub where we camped for the night. Maasai guards kept the leopards and hyenas away, and the students were awestruck by the stars unobscured by light pollution here. A dawn walk by the river revealed hippos and buffalo, but the feeling of wilderness was dispelled when the students were shown the nearby lodge and glamping tents at Salt Springs, located only metres from our supposedly “wild” camp. The facility is run entirely by Maasai and helps bring income into the Mara North Conservancy. It is a preferable alternative to unsustainable agricultural activity, or the illegal development of permanent structures, on this critical habitat. Rising land value and a new sense of ownership have driven Maasai landowners to sell to the highest bidder, resulting in fences and international investment. The Serengeti ecosystem is vast, but development risks the natural movement of the wildlife that maintains this northern section. Many conservation issues are raised by the following two days of safari. We drove too close to the animals, spent too long watching them, and found ourselves voyeurs of traditional Maasai lifestyles during a touristic visit to a local manyatta. It made us question our very presence in Kenya. The experiences were those of a lifetime, but how does tourism change local lifestyles, impact on the behaviour and persistence of the wildlife, and drive the market forces that exploit Kenya’s natural resources? We debated our impacts on Kenya, concluding that a field course like ours can only be justified if it has legacy; what the staff and students learn from the experience must be translated into efforts to help Kenya develop sustainably—and to conserve, but not in the sense of preserving the wildlife and ecosystem. Rather, we would wish for conservation that means adapting to maintain biodiversity, quality of life for local residents, and natural environment (which is also natural capital) in the face of national and international politics, market forces and climatic change. Having been involved with Kenya field trips for ten years now, I can sense changes—although I often can’t tell whether I am gradually forming opinions, finding out more truth, or detecting real change. This year, I came home feeling more positive than ever that the instinctive optimism of Kenya’s people will bear fruit, and will provide the impetus for the conservation and sustainable development of the country’s natural environment. 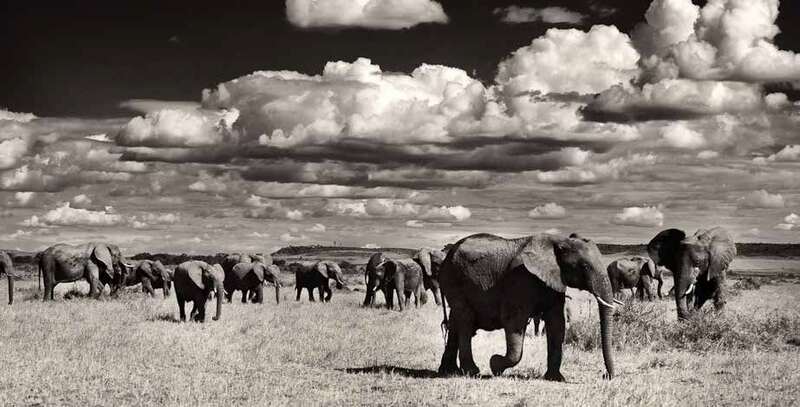 Despite political instability, corruption, poaching and terrorism, the people of Kenya understand that their wildlife contributes both posterity and prosperity to them and to their nation, and are motivated to conserve it. I hope that Kenya’s political systems catch up with this optimism and learns to support, regulate, and align the interests of Kenya’s human and natural systems—and that the country can serve as a model to other naturerich nations looking to balance economic and ecological goals. Dave Hodgson is Associate Professor of Ecology at the University of Exeter’s Penryn Campus. 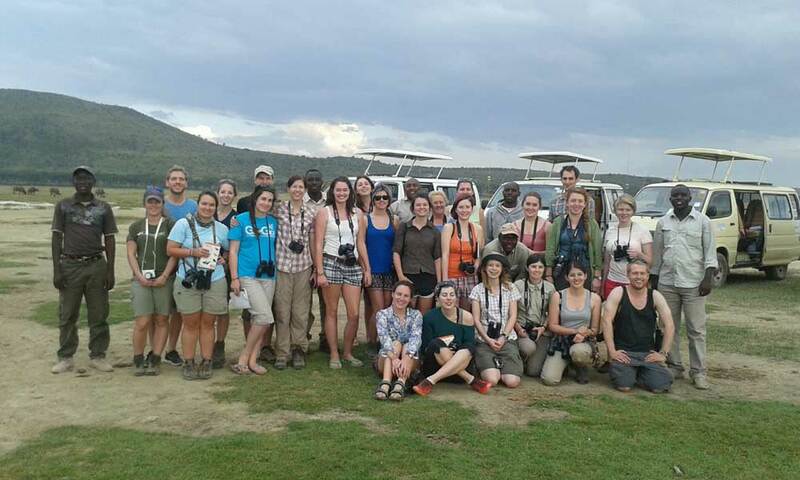 He visits Kenya annually with students from the University’s Conservation Science and Policy Field Course. He wrote this piece with the help of Enoch Mobisa, Sue Rodway-Dyer, Chris Laing, Josie Bridges, and Sophie Davison. On the outskirts of Livingstone, Zambia, lies Damba Forest where impalas and kudus share a 700 acre enclosure with a pride of lions with radio collars. This is known as Stage 2, where the first generation of lions to be walked by ALERT’s conservation program have had a litter. These lions were walked as cubs through their habitat to familiarise them with the wildlife they would encounter upon release. In two years’ time, their litter will be the first lions released into the African wild without having any human interaction except for tranquilised medical checks. These cubs are raised solely by the pride that lives in the 707 acre enclosure that is regularly stocked with live game for the lions to hone their natural hunting instincts in order to survive. The drop is due to the Asian black market and people’s belief that parts of exotic animals have medicinal benefits. Daryl is based at the Thorntree River Lodge about 10 km outside of Livingstone, in the Mosi Oa Tunya National Park, where the program hosts its volunteers. He has extensive knowledge of African wildlife, having worked as a guide for over ten years in Kenya’s Maasai Mara Park. He is in charge of overseeing ALERT’s project, making sure it runs smoothly so that the release of the programme’s lions is a successful accomplishment. “What about the lions that have been walked and hand-raised?” I ask Cara Watts, lion manager of the project, as we sit in the Land Rover with two volunteers and an intern, watching the pride in Stage 2, Zulu, the dominant male, shrugging our presence off. “Lions possess the natural instinct to hunt and kill” she whispers. The current cubs that are being walked will be the last. Within a year they will be retired and moved to Stage 2 where the focus of the project will be to raise the necessary funds to build an electrified 9 kilometre double-fence Stage 3. ALERT’s project is not just about the lions. It also focuses on giving back to the community by providing gainful employment which gives a sense of ownership and community and teaching in the local schools. “It’s grown a lot,” says Jeremy Tiger, a Canadian who had volunteered with the program when it was a year old after it began in 2008. He was walking Zulu when Zulu was just 14 months old. This time, he’s returned with his partner, Alanna Swarup. Lions as young as six weeks are taken on walks to build their confidence and allow their natural hunting instincts to develop. Set in a 700 acre enclosure with plenty of game to hunt, the lions learn to develop a natural pride social system. The lions are released into a larger eco-system (80 km2) in the Damba National Forest where they will learn to compete with other predators such as hyenas. 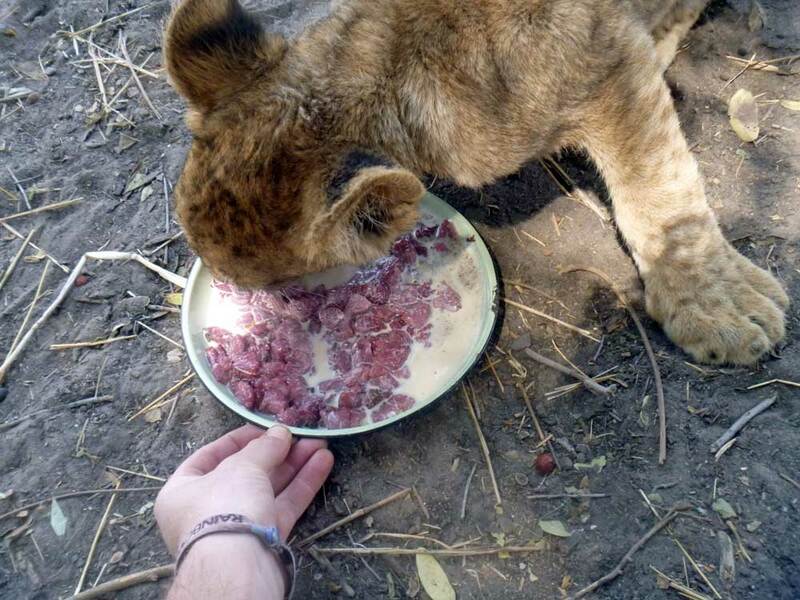 The lions will give birth to cubs raised in a completely wild environment with no human contact – effectively making them wild lions. After maturing at the age of five, the cubs born in Stage 3 will be released into the African wilderness of Damba National Forest with all the skills and human avoidance behaviours of any wild-born cub. Simon OChen is a guitar-playing, nomadic, bartering (don’t like money) adventure travel writer hitching around the world by land and sea only. During his travels, he joins conservation groups in exchange for articles about their organisations, thenomadicdiaries@gmail.com. The Kilombero valley is the largest seasonal wetland in east Africa. Situated between the Selous Game Reserve and the Udzungwa mountains, the area supports a diverse fauna and flora. It once had the largest density of wildlife in Tanzania outside protected areas. Most of the Kilombero valley consists of alluvial floodplains, fringed by Miombo woodlands, evergreen forest fragments and grasslands. The valley is home to over 350 species of plants and a wide variety of animals, many of them endemic or threatened with extinction. It also contains an important bird community, including three endemic species—a weaver bird and two species of warblers. During the rainy season, the valley becomes an important spawning area for several fish species in the Rufiji river. In addition, it has a high diversity of amphibians and reptiles, including one endemic species of crocodile. The Kilombero valley also contains a number of large mammal species such as African elephants, buffalo, baboon, bushpig, bushbuck, hartebeest, reedbuck, sable and waterbuck. In wooded grassland areas, a number of African ungulates are present such as the zebra, eland, and puku. The puku formerly occurred widely in grasslands near permanent water, within the savannah woodlands and floodplains of south-central Africa, but has now been reduced to fragmented and isolated populations and are listed as Near Threatened on the IUCN Red List. Puku are the only large mammal not represented in the National Parks and Game Reserve network of Tanzania. The long–term survival of the species is therefore dependent upon the conservation of the remaining isolated populations, the largest of which is found in the Kilombero valley. This population accounts for half the global population, making it critical for the survival of the species, however, its habitat is increasingly threatened. Despite not having a protected status, except for the marginal protection it receives as a Game Controlled Area and as Forest Reserves, the valley is of utmost importance for the migration of large mammals like elephants. Historically, elephants and other large mammals have crossed the valley to migrate between the Udzungwa mountains and the Selous, moving down into the floodplain during the dry season and going back to the Miombo woodland during the rainy season. However, in recent years the increase of farming encroachment in the valley has put increasing pressure on the only two remaining wildlife corridors: the Nyanganje corridor and Ruipa corridor. 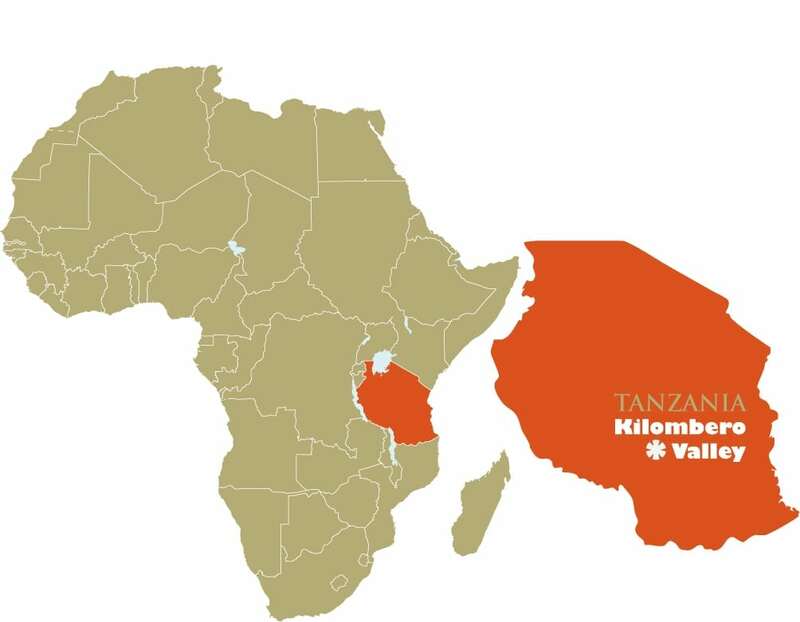 The valley constitutes one of the most fertile areas in Tanzania, and in the past decade the availability of unprotected land has attracted a large number of migrants into the floodplain and the Miombo woodland. As a result, large areas of the Miombo have been cleared for farming and cattle grazing. Although the majority of the villagers are subsistence farmers, mainly cultivating rice and maize, the extent of human encroachment is so significant that it threatens the survival of many species and the viability of the whole ecosystem. The degradation of the Miombo woodlands and the floodplain is of great concern as their importance as a wildlife refuge is likely to increase as the remaining corridors are getting less and less practicable. Socio-economic surveys have shown that over 25% of the families currently living in the area have immigrated less than five years ago, predominantly from within the Morogoro region, and often from neighbouring villages within the same district. This migration has mainly been driven by the availability of fertile land and lower population densities in the Kilombero valley. However, population pressures on agricultural lands lead to increasing unsustainable land use practice, and expansion onto marginal lands. As a result, human–wildlife conflict increases due to the threats that wildlife pose to crops and livestock. In addition, social tensions are aggravated between traditional inhabitants and the recent agro-pastoralist migrants. To complement socio-economic surveys, long–term monitoring of large mammals is essential to assess the impact of human encroachment on wildlife. Surveys have been carried out in the Kilombero valley since 1998 and have shown a significant decline in the number of large wild mammals observed in recent years, especially elephants, puku and buffalo. Recent surveys of the Northern part of the Ruipa corridor have shown a total collapse in wildlife numbers, with duiker the only wild large mammal recorded in the Namwai forest in 2010, compared to 25 species just three years ago. Furthermore, studies of the spatial distribution of elephants in the southern Ruipa corridor, between the Selous and the Kilombero river, suggest that this section of the corridor is also closed. Elephants seem to be unable to cross the Ifakara-Mahenge road and reach the floodplain from the Selous. The potential isolation of a large population of elephants within the Udzungwa Mountain National Park is worrisome because it is likely to lead to important disturbances within the park and threaten other local endemic species. Without adequate management of non-protected areas, the land surrounding National Parks and other protected areas becomes increasingly degraded. However, with a substantial amount of time and financial commitment, as well as political will, limiting human-wildlife conflict and restoring the Ruipa corridor is possible. To this end, management recommendations are now being drawn for each village along the Ifakara-Mahenge road. There is often a conflict between the conservation of wildlife and human needs. However, in some cases protection measures can be mutually beneficial. For instance, there is evidence that agriculture at low densities could actually increase species diversity and abundance of large mammals. In order to reopen such a migration route, large mixed-use areas are therefore likely to be more efficient than the single–use land management plans currently in place. In addition, protecting Namwai forest, which is currently overexploited, would be an important step in preserving the migration route and would also directly benefit the local communities. The village councils are being made officially responsible for the conservation of the floodplain. However, they currently lack the capacity and resources to control immigration and effectively manage their lands, the boundaries and tenures of which are also under dispute. In order for them to effectively enforce the new management plans, it will be essential to invest in capacity building. In particular, this should involve improving education on good farming and grazing practices, as well as infrastructures. It is by directly engaging the local farmers that the sustainable use of natural resources will be achieved, and hence the long term survival of large mammals in the Kilombero valley. Andrew Bamford is Principle Investigator and Daniella Ferrol-Schulte is Research Officer for the Frontier Tanzania research programme. Altering or clearing forests for farming and other activities leads to fragmentation of wildlife habitat, which in turn results in a cascade of negative impacts. For instance, farmlands near or across an animal’s migratory route can lead to crop damage and losses to both humans and wildlife, a situation commonly known as human-wildlife conflict. The Mysore-Nilgiri corridor in southern India is both a traditional route for wildlife such as elephants and a resource base for local people, and holds considerable conservation value. While studies have investigated direct and hidden costs of conflict, we still need site-specific understanding of the issue to provide solutions. In this landscape as in others, most proposed conservation plans and forestry policy decisions tend to ignore the livelihood resources of forest dependents. Somewhat contrary to this, one paradigm of biodiversity conservation research opines that natural resource extraction by forest-dependent people is one of the most viable alternative options to reduce poverty and enhance local livelihood. Different forest communities within one landscape might differ in their practices, socioeconomic conditions and attitudes, all of which will affect the kind of conservation solutions that must be proposed for them. Biligiri Rangaswamy Temple (BRT) Wildlife Sanctuary, recently declared a Tiger Reserve, is biologically diverse but has lost its connectivity with Nilgiri Biosphere Reserve, Western Ghats and Eastern Ghats. The landscape around BRT is completely transformed into farmlands, settlements, road networks, etc. Corridors such as DoddasampigeEdeyarahalli and ChamarajanagarTalamalai, at Punajanur and Mudalli, connecting BRT with Cauvery Wildlife Sanctuary on the east and Nilgiri Biosphere Reserve, on the south respectively, are also facing intense human presence. This leads to increase in crop raids, and human and animal loss. There are two major forest-dependent communities in the BRT-Sathyamangalam corridor: tribals and non-tribals. The Soligas were primarily a hunter-gatherer tribe and practiced farming through shifting cultivation for their subsistence. Following the declaration of BRT as a wildlife sanctuary in 1974 they were settled in forest lands close to the corridors. Then there are settlers from elsewhere who were allotted land for cultivation under the ‘land for food’ scheme, aimed at increasing crop production. They were allotted forest areas either close to or in the corridors. According to recent work, around 60% of Soligas’ income was lost due to the ban on non-timber forest products collection in 2007—mainly amla, honey, lichen, soap nut, soap berry and fuel wood. However, there are still some people harvesting products for domestic use. Tribal and non-tribal communities also depend on the forest for raising cattle for ploughing as well as dairy products, whereas the goats and sheep are raised for sale as well as for meat consumption as alternative income sources. On average, tribals hold about one acre of land per household (mainly forest land), while for non-tribals it varies from one to five acres per household with land tenure rights. Without similar rights over ‘their’ land, tribals are economically poorer than non-tribals whose landholdings are fixed assets. Traditional crops in the predominantly dry landscape include ragi (finger millet), field beans, castor and vegetables. This crop diversity has enabled a more reliable income, providing enough even if any one crop fails. In the recent past maize, turmeric, potato, sugarcane and banana are becoming major crops due to interventions for intensification and commercialisation of farming. People have frequently seen a number of animals in the forest-farmland matrix and major crop damage, in decreasing order, is caused by elephants, wild boars, spotted deer and sambhar. Incidence of conflict is very high during ragi and maize cropping which necessitates guarding the crop over three to four months. Abstaining from guarding even for a single night during the harvest season affects a farmer’s entire effort, and puts pressure on his family because in addition to losing food security for a year, they have to search for alternative income sources. The increasing rate of farmlands being left fallow to avoid conflicts compounded with growing family sizes over the years directly affects net income levels. Tribals venerate the forest and its inhabitants, with the belief that their faith will earn them good harvests of both crops and forest products. Their philosophy tells them that the forest primarily belongs to wildlife. They do not consider conflict a major threat to their livelihoods compared to getting evicted from their present farmlands, which are mostly forest lands. Tribal farmers reminisce about strategies they followed in the past to reduce, not avoid, crop loss. Even today some of the settlements inside the forest cultivate coffee and other fruit trees instead of traditional crops to avoid crop damage by wildlife. In contrast to this, the non-tribal forest-fringe farming communities blame wild animals and management policies for their crop-loss. While both groups are open to supporting any alternative strategies that could benefit forests, people and wildlife conservation, neither is ready to reduce their dependency on the forest. The tribals opined that the forest was their only source of income, and only a few of them worked in nearby coffee estates as daily wage labourers. Because tribal lands are primarily forestlands, they are not allowed to use electric or solar fencing for their farms, and are also not eligible for compensation when wild animals raid their crops. The human-wildlife conflict is therefore a bigger problem for tribal farmers than non-tribals in the study area. Both forest-dependent communities expressed their views regarding conservation strategies towards managing the forest resources and mitigating human-wildlife conflict. Solar fencing is not affordable to all farmers.So, it would be better to share a ‘community-level solar fencing system’ for the forest as well as revenue land to be effectively maintained by a beneficiary member regularly. Crop insurance for crop loss/damage with the support of conservation agencies will be a good strategy to avoid exploitation by insurance companies. The existing compensation schemes and bureaucratic processes fail to generate support for conservation in the study area and it should be revised including inputs and requirements of the farmers. The state forest department must reconstruct the defunct elephantproof trenches in this area with revised measurement of width and depth as per the villagers’ needs and inputs. Formation of an ‘anti-depredation squad’ that would include both local residents and skilled forest personnel to prevent wildlife conflict and chase problematic animals during cropping seasons. This will also help bridge a good relationship between people and forest managers. Along with existing eco-development committees in many forest areas, special ‘Joint Corridor Management Committees’ can be formed exclusively to address the issues of wildlife corridor conservation for safe migration of wild animals. The tribal and non-tribal communities have shown great cooperation and even provided inputs for conflict mitigation measures, aimed at achieving sustainable conservation and utilisation of the corridors. It is necessary to develop alternatives in order to reduce pressure on the forests, based on the local communities’ needs, mainly focusing on crop protection, participative management and crop insurance. These are affordable and reasonable strategies to help restore the habitat as well as livelihoods of forest-dependent communities. WHAT ARE THE IMPLICATIONS FOR HUMAN LIVELIHOODS AND NATIVE BIODIVERSITY AFTER THE ABANDONMENT OF TEA PLANTATIONS? In the mid-1800’s, many large plantations were established at the expense of natural forest in many parts of India. The British and the subsequent Indian government leased these plantations to private developers on a long-term basis, usually for a period of 99 years or less. In recent times, many such plantations surrounded by forests have been notified as Protected Areas (PAs). While most of these plantations have continued to function for decades despite falling within the larger boundaries of PAs, many are now being abandoned either due to expiry of leases that have not been renewed subsequently by the Government, or simply due to the decline in profitability of the plantations. What happens to these plantations after they are abandoned? 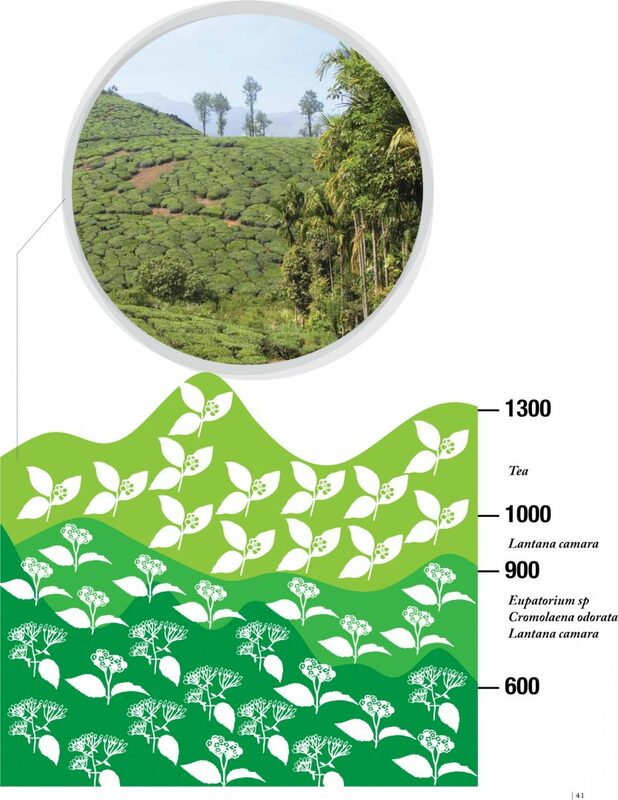 Tea plantations within the Agasthyamalai range (southern Western Ghats, Kerala) have been vulnerable to poor markets, decreased demand, increasing labour costs, fluctuating global prices and insecurity over lease renewals. Litigation between plantations and the government or amongst the plantation stakeholders themselves (plantation owners and workers) has also been responsible for the non-maintenance or cessation of operations in plantations. Recent data from the Tea Board showed that between 2004 and 2007, the tea plantation area declined by about 55 % just in the Trivandrum division. In this short note, we examine what processes are under play in abandoned plantations in the Agasthyamalai hills, Kerala, regarding the recovery of native forest plants and tree species, and the social and economic consequences of abandonment for the plantation stakeholders (owners, workers, etc.). Following abandonment, if a plantation is left unmanaged and undisturbed, it experiences different colonisation patterns depending on its location. Many invasive species colonised plantations at different elevations. At the elevational range of 900-1000 metres above mean sea level, Lantana camara took over 70 to 80 % of the area in plantation abandoned for nineteen years. A similar trend was observed even in recently (seven year old) abandoned plantations between 600-1000 metres in Ponmudi (Kerala), with invasive species like Eupatorium sp., Cromolaena odorata and Lantana camara taking root. Many studies have highlighted that the growth and spread of invasive species leads to changes in plant community composition, which can affect the recovery of native forest species. At elevations of 1300 m and above, tea plantations abandoned for nineteen years were colonised by the tea plant itself. In such cases, they can grow into tall trees that completely shade the forest floor, making growth of sunlight-loving forest species difficult. The tea plantation industry is one of the major agricultural sectors in India, providing the most employment. The current scenario of dwindling plantation areas leads to an increase in unemployment and livelihood-related issues of workers. In the Agasthyamalai region (Trivandrum division) of Kerala, many plantations have been abandoned and workers are struggling to find alternate livelihoods sources. Many families are working as causal labour in road constructions, or in some cases (eg., in Bonacadu estate) workers themselves started small areas of tea cultivation to sustain themselves, where they pluck the leaves and sell them to middlemen at low prices. In Ponmudi, after the Ecological Fragile Lands Act was enforced in 2003, many tea plantations could not sustain themselves, as the act prohibits estates from reviving non-cultivated areas within plantations. Managers from Merchiston and Ponmudi tea estates mentioned in conversation that now they do not have work all through the year for their plantation workers due to this Act. Workers from tea plantations are now registered under the National Rural Employment Guarantee Act to sustain their livelihoods. The issues arising out of plantation abandonment are complex and need to be studied in greater detail. On the one hand there is an urgency to understand the ecological processes within the abandoned tea plantations and surrounding forests while on the other hand, social and ecological issues cannot be neglected, especially when large areas outside the PA network are constrained by newer laws. There are no win-win situations but a working compromise needs to be made where workers’ livelihoods and ecological stability of the landscapes are met. FLESHY FRUITS PROVIDE NUTRIENTS FOR FRUGIVORES, WHO IN TURN DISPERSE THE FRUITS (SEEDS) AWAY FROM THE PARENT PLANT, RESULTING IN A MUTUALLY BENEFICIAL RELATIONSHIP. HOW DOES DISTURBANCE TO HABITAT AFFECT BOTH PARTIES? A group of eager eyes watched me doing fruit counts on a warm December morning. The shepherds and goatherds nearby seemed to be busy observing me, probably wondering why I was more interested in counting fruits than having a handful to savour. 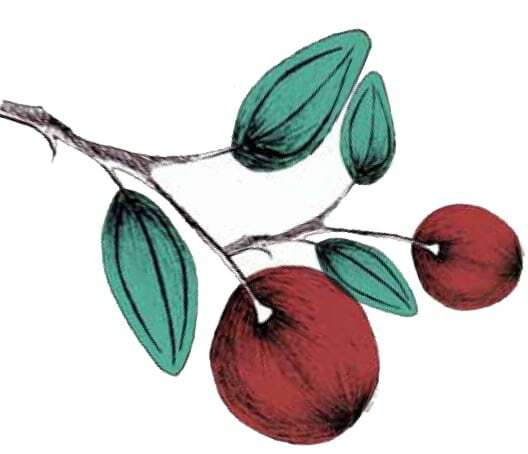 The fleshy fruits were of a common shrub colloquially called chania ber (Ziziphus nummularia). It belongs to the family of fruits commonly termed as jujubes. The ripe fruits are a delicacy for humans, though many of the marketed fruits are hybrids with other species. Chania ber largely occur in dry climates and are common in much of the arid and semiarid tracts in India. Fleshy fruits spread by dispersal, which involves a specialised network of mutualistic interactions, where seeds are transported to new locations through a wide range of species—mostly birds and mammals. Such interactions are mutually beneficial to both the fruiteaters (food) and plants (dispersal of their seeds), and almost 90% of the plant species in tropical forests rely on animals for seed dispersal. Where precipitation is a limiting factor, fleshy fruits help supplement important nutrients and water for the frugivores. Fruit size and other characteristics determine its consumption, mobility and persistence within the environment. Regeneration of these plant species is also often dependent on the passage of seeds through the gut of animals. Fleshy fruits are typically produced in abundance, but are usually patchily distributed in space and time, which affects the movement patterns of the species consuming fruits (frugivores). In a way, the processes of frugivory and seed dispersal shape plant populations through complex interactions between the foraging decisions of animals and spatial arrangement of fruiting plants. Thus, frugivory and dispersal are important functions in an ecosystem, engendering long-term benefits, and therefore maintenance of these relationships is important particularly in human-altered landscapes. In a human-altered savanna habitat in Abdasa, Kachchh, twelve species of animals and birds consumed the fruits of chania ber. These included seven bird and five mammal species: rosy starling, red-vented bulbul, white-eared bulbul, common babbler, lesser whitethroat, variable wheatear, Isabelline wheatear, black-naped hare, Indian fox, Indian porcupine, golden jackal and a rodent. How a frugivore handles a fruit actually says a lot about its potential as a disperser. If the species swallows the fruit and regurgitates the seeds at a location away from the fruiting plant, it is likely to be a disperser. However, if a species destroys the seeds in the act of frugivory, it is considered a seed predator. Some species may consume fruits but may not actually take the seed away from the parent plant and in such cases they are considered neutral in their function. Also, species that more frequently visit a fruiting shrub tend to consume more fruits than those species that visit occasionally. Amongst the birds, the two species of bulbul were more frequent visitors at the fruiting shrub and were present throughout the fruiting window of the species (mid-December to early March), while rosy starlings maximized fruit consumption during the peak fruiting period (early January to mid-February). Bulbuls regurgitated seeds away from the fruiting shrub, indicating that they could be potential dispersers. The other bird species visited occasionally and consumed only the fruit pulp. Among mammals, blacknaped hare and Indian fox were the two most frequent frugivores recorded, and consumed almost half of all fallen fruits. 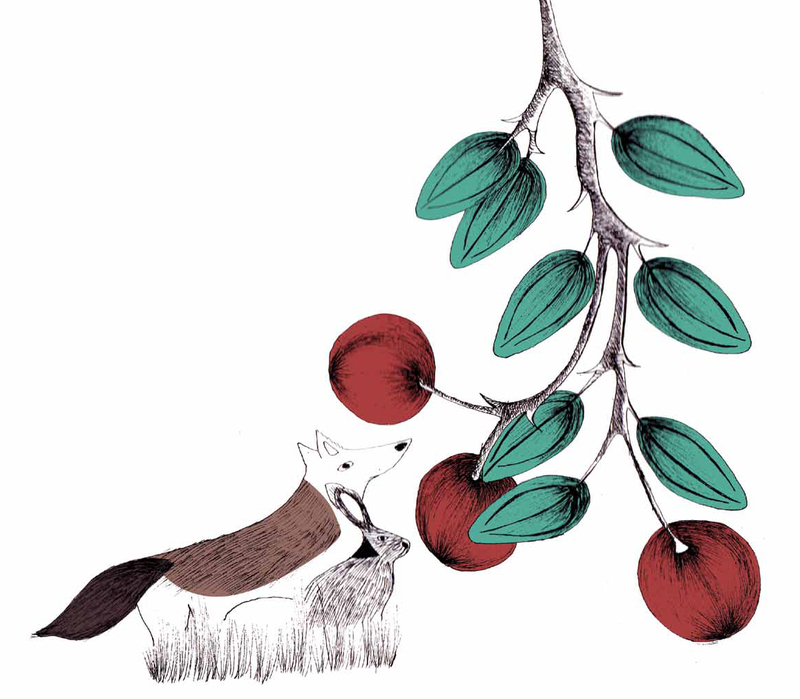 While black-naped hares were ‘neutral’ frugivores, the Indian fox consumed whole fruits and defecated intact seeds, indicating it to be a potential mammalian disperser. The Indian porcupine was found to be a seed predator (consuming seeds and therefore preventing germination). Fruit consumption patterns also differed between birds and mammals. While birds responded to total number of fruits (fruit crop) in the shrub, mammals (black-naped hare and Indian fox) were not affected by the total number of fruits or the density of fruiting shrubs. This difference could be attributed to the fact that birds generally respond to standing fruit crop while mammals largely forage on fallen fruits. Fruit collection by the local people was a common sight during the peak fruiting season. Considered a delicacy, many of the fruits are collected for personal consumption, though a proportion also makes its way into local markets for sale. Market surveys showed that large quantities of fruits came from far away taluks (Bhuj, Nakhatrana and Mandvi) with very little collection in and around the study area, and depending on availability, prices varied within the window of sale (mid-December to mid-January), ceasing rapidly after. Chania ber is a commonly occurring shrub and its fruit consumers are equally common. Indian foxes and golden jackals are also found close to human habitation but how many of us actually think of them as mediators of plant dispersal? Unconsciously or consciously, our species-centric approach seems to obscure the importance of roles that a species performs in an environment. In India, priorities in conservation have been largely restricted to more speciose landscapes or charismatic animals. Arid and semi-arid tracts in India are currently undergoing a surge of development. We are losing vast tracts of grasslands and scrub habitats to industrial development and agricultural expansion. Considered largely as wastelands in India, they are being bargained by industrial honchos for solar farms and chemical industries. With these habitats vanishing rapidly, important ecological functions would certainly be affected. Though we may value species from an aesthetic or ethical perspective, functional roles are seldom taken into account. This necessitates further ecological research to create awareness amongst the human populace on the functional relationships that exist and how they benefit conservation efforts particularly in human-dominated landscapes. Distributed in India, Pakistan, Iran and Israel. Ber plants have a single fruiting season per year. Parts of the Ber plant are used widely in medicinal systems across India, including in Ayurveda. FOREST SOILS ARE IMPORTANT SINKS FOR METHANE, BUT CAN HUMAN USE OF FORESTS REDUCE THEIR EFFICIENCY? Forest soils are known to act as sinks for atmospheric methane, a major greenhouse gas. Methane is the most abundant organic trace gas in the atmosphere, primarily created by biological processes of microbes (methanogenesis). It plays an important role in global climate change, and forest soils are known to be effective sinks for methane. In soils, methane is primarily utilised by bacteria that oxidize it to produce carbon. However, the effectiveness of soils as sinks is affected by land-use practices such as agriculture, and forest or woodland soils are considered more effective sinks than soils in human landscapes. Biligiri Rangaswamy Temple Wildlife Sanctuary is located at the confluence of the biologically diverse regions of Western and Eastern Ghats. Until the eighteenth century, these forests were hardly accessible to those residing in the vicinity. They were earlier inhabited by the hunter-gatherer Soliga tribe, who lived on non-timber forest products and practiced shifting cultivation. Shifting cultivation was banned by 1972, when the area was declared as a wildlife sanctuary, and Soligas now practice permanent agriculture. However, they graze cattle and continue to gather non-timber forest products from the sanctuary. Despite protection, these forests are increasingly affected by anthropogenic influences (animal grazing, forest fires, etc.) of the people living in the vicinity of the sanctuary. These disturbances can be chronic given their impacts on the ecosystem. Grazing of livestock inside the forest encourages the growth of vegetation, in turn encouraging firewood collectors. Intensive grazing by livestock and other anthropogenic activities could pose serious threats to the natural habitat, including to forest soils. Treading and trampling by grazing animals leads to soil compaction, especially in wet tropical conditions. Soil compaction decreases the number of soil pores, in turn decreasing soil aeration. The condition of reduced soil pore volume and increased water-filled pore space reduces the ability of soils to absorb methane. Methane oxidizers in soils are also sensitive to disturbances. A study in this landscape investigated the variations of soil methane fluxes in disturbed and undisturbed forest sites across four seasons, with forest grazed by cattle regarded as disturbed forest. Gas fluxes at the soil surface were collected from disturbed and undisturbed forest areas, and samples were analyzed for methane using a gas chromatograph in the laboratory. The net methane sink was higher in undisturbed forest than in disturbed forest both overall and in each season. The accumulated methane sink value measured over four different seasons was highest during the monsoon, whereas the lowest value was post monsoon. During the monsoon, grazing activities are lower due to heavy and prolonged rainfall, which could be the possible explanation for higher methane sink values at this time. In contrast, the higher grazing pressure during the post-monsoon season leads to soil compaction due to livestock treading and trampling, thus creating anaerobic conditions in the soil with reduced airfilled pore spaces. This leads to increased methanogenic activity, and could be the possible explanation for the reduced methane sink during the post-monsoon season. While human practices like agriculture are known to play a role in altering forest sink potentials, this study shows that disturbances due to animal grazing can also reduce soil’s methane oxidation potential, hence reducing the overall methane sink strengths of soils in forestlands. MASS VACCINATION OF DOGS IS RECOMMENDED AS THE MOST COST-EFFECTIVE, LOGICAL AND ETHICAL APPROACH TO CONTROL RABIES, PARTICULARLY IN RESOURCE-LIMITED COUNTRIES. Rabies, also known as hydrophobia, is a highly fatal viral disease of mammals with widespread distribution, found on all continents except Antarctica. The causative agent is a neurotropic RNA virus belonging to family Rhabdoviridae, genus Lyssavirus. All mammals are susceptible, and transmission occurs mainly via bites of infected animals. This zoonotic disease is transmitted to humans by bites or licks of rabid animals, mostly dogs. 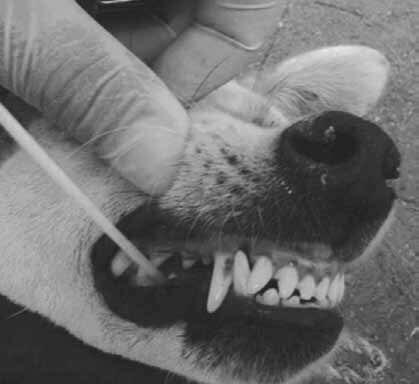 Virus in the rabid animal’s saliva is deposited in the bite wounds. The virus then travels via the peripheral nerves towards the brain where it replicates. After replication, the virus then spreads to the major exit portal, the salivary glands. This is when the animal begins to exhibit the symptoms of rabies. Hydrophobia (fear of water) is a characteristic symptom of rabies in humans, while rabies in dogs is manifested either as a ‘furious’ form (typical mad dog syndrome) or a ‘dumb’ form (predominantly paralytic form). Once the symptoms of rabies develop in an animal or a human being, the patient rarely survives more than a week. Domestic dogs are the main reservoir and vector of human rabies, especially in developing countries. Canine or dog-mediated rabies contributes to more than 99% of all human rabies cases. Half of the global human population, especially in the developing world, lives in canine rabies-endemic areas and is considered at risk of contracting rabies. Rabies is the only communicable disease of humans that is almost always fatal. Though incurable after the onset of clinical signs, human rabies is nearly always preventable. Post-exposure treatment encompasses thorough wound treatment (immediate and vigorous wound cleansing with lots of water and soap), post-exposure vaccine regime, and inoculation of rabies immunoglobulin whenever deemed necessary. Elimination or control of rabies in dog populations is essential to control and reduce the risk of disease transmission to humans, other domestic animal species, and wildlife. Mass vaccination of dogs is recommended as the most cost-effective, logical and ethical approach to control rabies, particularly in resource-limited countries. As the principal reservoir and vector of rabies, domestic dogs are responsible for an estimated 20,000 human rabies deaths every year in India, which means one person dies every 30 minutes somewhere in India due to rabies transmitted by dog bite. A majority of these deaths (more than 90%) occur in rural areas. Despite the large number of human deaths, rabies remains a disease of low public health priority and is not a notifiable disease in India. A lack of an organised surveillance system for rabies results in under-reporting, and the actual number of human rabies deaths may be significantly higher than the estimated figure. There is no national program for the control and elimination of rabies in India. Free-ranging rural dogs interact with local wildlife at multiple levels, and a potential exists for spill-over of diseases from the abundant reservoir host (dogs) to wildlife. Elsewhere, many threatened carnivore species have shown population declines and local extirpations due to introduction of rabies from nearby dog populations. For example, the wiping out of the African wild dog population in the Serengeti-Mara landscape (Tanzania / Kenya) in 1989 and the episodic population declines of Ethiopian wolves in Ethiopia in 1990, 1991-92 and 2003 have been linked to a rabies virus variant which is common in dogs. In India, species like leopards, wolves and golden jackals occur in close proximity to humans in many places, and the transfer of rabies from dogs to these species is a possibility. Such events could have other serious implications: rabies might be the most important factor explaining wolf attacks on humans. Most wolf attacks seem to follow the rabid-wolf pattern-a wolf travelling over large distances, biting many people and domestic animals. Rabies is a prime suspect if such a pattern is reported, as wolves are known to develop an exceptionally severe ‘furious’ phase of rabies, resulting in a ‘biting spree’. 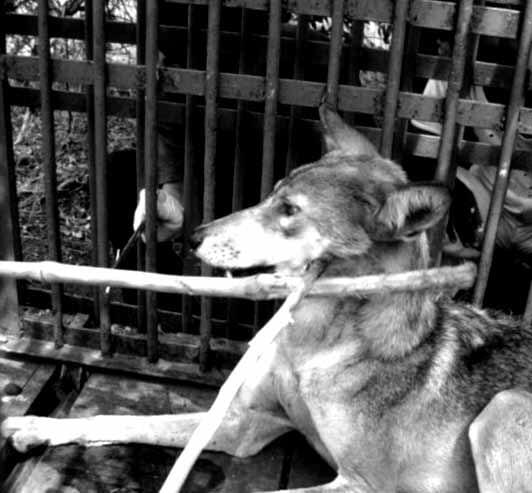 Death due to rabies has been reported in wolf-bite victims who don’t receive appropriate post-exposure treatment, or those with bite wounds inflicted on the head and neck. Such attacks on humans by wolves are highly publicised by the local and regional media, and influence the attitudes of people towards wolves, and consequently towards wildlife policies and conservation. India has a large dog population, consisting mostly of free-roaming, poorly supervised and unvaccinated animals. As reservoirs for important pathogens of humans and wildlife (eg. rabies, canine distemper virus and canine parvovirus), these dog populations are central concerns for public health and wildlife conservation, especially in rural areas. Yet field data on dog demographics, prevalence of important pathogens, and how diseases influence these populations is lacking. 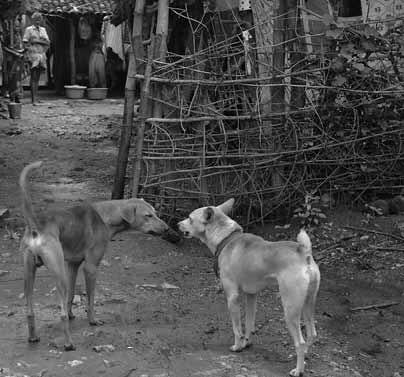 The current project collects this data for multiple dog populations in rural India to fill such voids. Mass vaccination campaigns are conducted for several study populations, while simultaneously monitoring their effects on population growth rates. This information will provide the basis to model impacts of disease control measures, especially mass vaccination of free-ranging dog populations. Humans are not unique in living communally, working cooperatively, using tools, investigating the world around us, or even in communicating. improve lives, create breathtaking works of art, prepare exquisite culinary delights, and then use our unparalleled linguistic ability to discuss these advances, record them for posterity, learn from them, and work towards an even more successful future. All of this is facilitated by science, “the state of knowing: knowledge as distinguished from ignorance or misunderstanding…a department of systematized knowledge…knowledge or a system of knowledge covering general truths or the operation of general laws” (Merriam-Webster). For most of us, the word “science” probably brings to mind images of spaceships and flasks full of mysterious chemicals and Petri dishes housing microscopic life forms, but these are only some of the many wonderful physical embodiments of the concept. A fully inclusive visualization would require us to expand our minds’ eyes to encompass nearly all aspects of our collective human culture, from the foods we eat (our ancestors’ experiments determined which could be safely eaten, how their flavour could be improved through different types of preparation, which varieties could be domesticated, and how those domestic yields could be made greater and more quickly) all the way through to the art we appreciate in museums (thanks to our distant relatives who first discovered how to mix liquid with pigments to make paint, how to strengthen clay by exposing it to fire, how to extract metals from ores and then fashion them into useful and decorative implements, how to use mathematical rules to create aesthetically pleasing layouts, and so on). These are only a few examples of topics about which we are in a “state of knowing”, and about which we have learned through a process of experimentation and observation. disciplines and applications might be uncommonly thought provoking— and you wouldn’t think that “science”, “scientist”, or “scientific” could ever be used in a negative way. 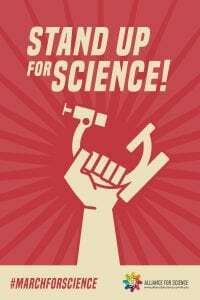 repeatedly slashed, and endured a growing vocal opposition to intellectualism in general, science supporters are now ready to take matters into their own hands and push back. 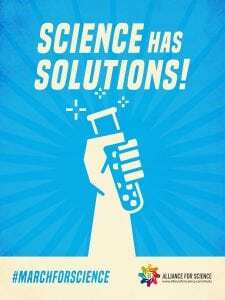 The prominence of the March for Science activities has encouraged and shined a spotlight on wider discussions around the role of science in society, and, in particular, around the intersection of science and politics—the latter of which can be defined as “the art or science of government or guiding/influencing governmental policy…the total complex of relations between people living in society” (Merriam-Webster). in the process promoting inspirational goals and a respect for both research and ideas. Scientists are, of course, only human—with opinions andpreconceptions and motives and desires—but they are humans who, by and large, typically strive to be aware of these characteristics (within the context of their work, at least) and compensate for them so as to maximise the chance of obtaining unequivocal insights about the universe; we’d all rather be remembered as a Ptolemy than a Copernicus, after all, so it does pay to be rigorous. That said, careers, fortunes, and clout can all be influenced by the outcomes of scientific research, and so there will always be examples of impropriety— faked datasets, for example, or falsehoods and misdirection associated with conducting or interpreting studies (e.g., the case of Trofim Lysenko, discussed in Loren Graham’s recent book Lysenko’s Ghost). Scandals and public disagreements are damaging not just to those involved directly, but to all scientists and even science in general, since the public quickly lose faith in truth-seekers who seemingly can’t be trusted to tell the truth themselves. When this is combined with scientists’ innate desire to question and debate each new result, it creates an easy target for anyone wishing to paint science as unreliable and deceitful. [It] is not a collection of absolute truths. Scientists are delighted when we are wrong because it means we have learnt something” (Strom 2017). Unfortunately, there are many people who take advantage of this pursuit of uncertainty and negated hypotheses—people who wilfully misconstrue the often repetitive and cyclical nature of the scientific process as being indicative of disorganization, confusion, and an inability to make progress. These are the sorts of people who deny that climate change is occurring and is caused by anthropogenic activity; these are the sorts of people who try to prevent science teachers from discussing evolution in the classroom. When these are also the people holding elected positions in which they make decisions about national priorities, policies, and research funding schemes, personal ignorance becomes public misfortune. conducted by people who have grown up in particular cultures with particular ways of seeing and doing things; it is funded by patrons and institutions and governments with particular agendas; it is carried out within organizations and societies and countries with specific goals;it depends upon the ability of expertise, results, and progress to flow unimpeded across borders; it thrives on collaboration and openness rather than secrecy. 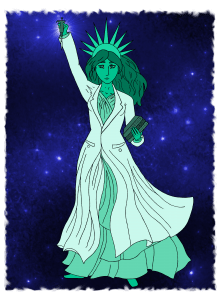 Although many of us may once have believed that science is apolitical—“having no interest or involvement in political affairs; having no political significance” (Merriam-Webster)—the past few months have been a reminder that the impact of politics on science can be immense; now we have the opportunity to show that the reverse can be true as well. Cyranoski, D. 2017. Japanese scientists call for boycott of military research. Nature. 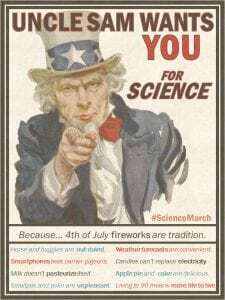 http://www.nature.com/news/japanesescientistscall- for-boycott-of-militaryresearch- 1.21779. Accessed on April 21, 2017. Science. 2017. Merriam-Webster. com. https://www.merriamwebster.com/. Accessed on April 21,2017. Naro, M and M Francis. 2017. 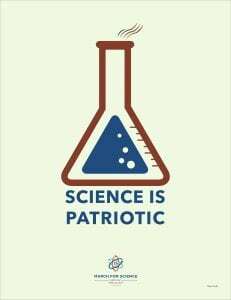 Science is political. The Nib. https:// thenib.com/science-is-political. Accessed April 21, 2017. Strom, M. 2017. Professor Brian Cox on elections: ‘Don’t vote for politicians who say they have all the answers’. The Sydney Morning Herald. http://www.smh.com.au/technology/sci-tech/professor-brian-cox-onelectionsdont-vote-for-politicians-whosay- they-have-all-theanswers- 20170403-gvc6hu.html Accessed April 21, 2017.